The name game demons have been released. On Tuesday, April 16, 2013, the anniversary of the VA Tech massacre and the day after the Patriots' Day Boston Marathon bombing, the spotlight focused on "Wicker." 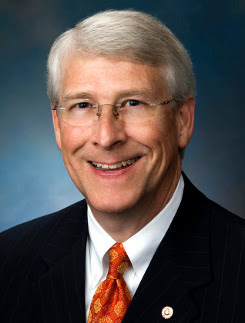 The U.S. Senate office of Senator Roger Wicker (R-Miss.) received a letter with a substance that has tested positive for Ricin, it was noted today by media and law enforcement sources. No date has been shared as to when the letter was received. The substance underwent three tests to make certain there was no error in the Ricin results. "Sen. Claire McCaskill (D-Mo.) said members were briefed that the substance had been found in a letter and a suspect has been identified. McCaskill said the letter came from an individual who frequently writes to lawmakers. She wouldn’t identify the person but confirmed officials had identified someone. McCaskill said state offices have been told what to look for if there are more letters containing the toxic substance," said the news service Politico. "Americans are going to wake up Thursday morning with Puerto Rico well on its way to becoming the 51st state, and they're going to ask why weren't we informed?" — Roger Wicker, a few years ago, in one of the few quotes his legacy has left on the Internet. 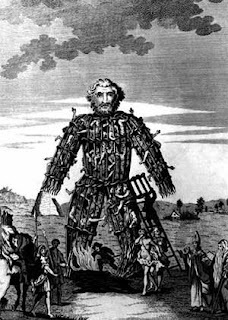 The Wicker Man is a highly symbolic Pagan image. 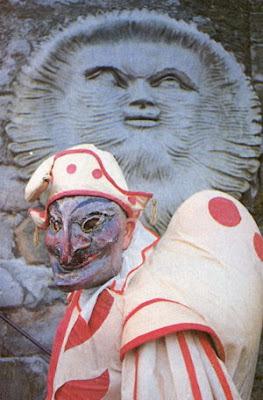 It appears to go beyond coincidence to find the moniker of Wicker turning up during incidents from 1976-1977's Son of Sam killings ("The Wicked King Wicker") to 2008's Chicago's Wicker Park accounts of "Phantom Clowns" and near-abductions of children. 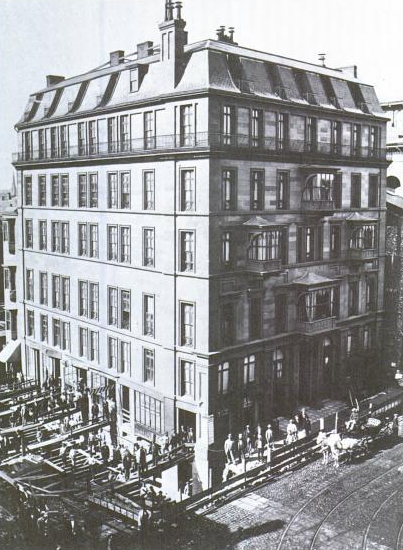 The Son of Sam events, btw, took place in the Pelham Bay area of New York City's northernmost borough, the Bronx. 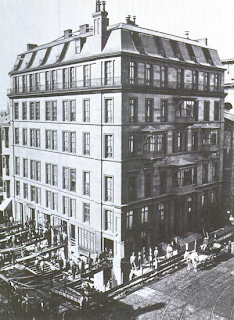 The Hotel Pelham (above) existed from 1857 to 1916, on Boylston Street, at the corner of Tremont Street, Boston, Massachusetts, very close to being across the street from the first bomb explosion at the end of the Boston Marathon on April 15, 2013. 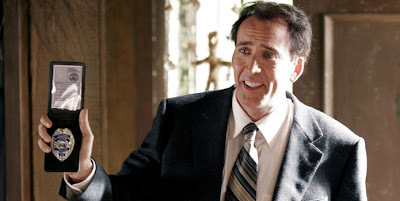 For more on the Wicker Man, see my 2009 essay on the topic here. 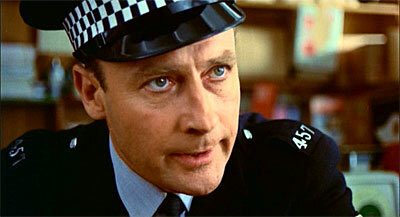 Cinematically, the doomed law enforcement "Wicker Men" have all strangely grimaced as their fate was decided by the Pagans. You know, sort of like the Joker's smile. Knew where to come for a post on this. Nice move to pick up the wicc clue. for the first time I sync grimace with Gus Grissom, the sacrificial lamb of the Apollo missions. Brilliant. All the "burning man", "man on fire" syncs make more sense now. oh and the movie "The Taking of Pelham 1 2 3" starred "Man on Fire" Denzel Washington. which has been held annually in the area where the film was shot (Dumfries & Galloway, Scotland) since 2004. 'sacrifice to the festival gods'." Bit of a sync that Tony Scott's film "Man On Fire"
came out in April of 2004 as well. Footage from the Sächseläuten Festival in Zürich, filmed Monday April 15th. Every year, on the 3rd Monday in April, "The Böögg" (Snowman Effigy) is set alight by the locals in order to send off the winter and predict the quality of the summer. This year it took some 30+ minutes to explode (which means a poor summer). It's also a holiday that today is celebrated/attended by those in the privileged classes of society, although its roots lie with the working classes. Federal agents have arrested a suspect, Paul Kevin Curtis of Mississippi. Curtis has written Senator Wicker previously regarding his supposed high strangeness discovery - black market trading in human body parts! Curtis was involved in an Elvis tribute act, and once claimed to have gone undercover to expose rigged Elvis impersonation contests. Today in Waco (brings to mind the Branch Davidian siege), there was a large fertilizer explosion (brings to mind the Oklahoma City bombing). The explosion took place at 1471 Jerry Mashek Drive. Mashek means descendant of Thomas (twin). Elvis Presley had a twin brother who died at birth, and the suspect in the mailing of ricin-laced letters to Senator Wicker, Paul Kevin Curtis, was in an Elvis tribute act with his brother. There are reports that buildings have been levelled after a huge explosion at a fertiliser plant near Waco, Texas. Here is a scary photo of the Waco explosion. Note the Sonic Drive-In sign to the left. Recall that Blaec Lammers, the would-be Twilight shooter, was apprehended at a Sonic Drive-in. There is a posting on the West (near Waco), Texas explosion. Please leave future comments there. Thank you.